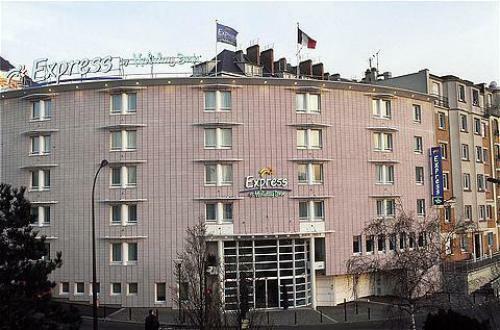 The Express by Holiday Inn Paris Porte d&regItalie is situated just at the south border of Paris at the right on the exit of the motorway A6 Easily accessible, the Express by Holiday Inn Paris Porte d&regItalie hotel is located, 10 min walk from metro & tramway station porte d&regItalie,10 min from Orly airport. The Rungis international Market, National Liberary, are not far from the hotel. A complimentary buffet breakfast is served in the restaurant between 06.30 and 10.30am, TV flat screen, satellite (CNN),WIFI access free up to the third floor. 89 rooms of the Express by Holiday Inn Paris Paris Porte d&regItali hotel offers fully equipped bathrooms with power shower and hairdryer, safety box free of charge at reception. You can park your car in our under ground car park. Our 2 meeting rooms, with dayl light can accept up to 20- 30 persons. Every meeting room has access to WIFI, High Speed Internet and a Video-projector.